This was a book for me. Just me....the "busy homeschool mom". You can see by the emoticon above how it made me feel. This book is by Real Life Press. The book itself is called The Busy Homeschool Mom's Guide to Daylight, by Heidi St. John.....mother of seven...wife......author......homeschool mom. So, yeah, that sounds like "real life" to me. I feel a bit like Jerry McGuire....or whatever Renee Zellweger's characters name was in that movie. The whole "you had me at hello....." part. I had an inkling of that feeling from the publishers name....Real Life Press. That was definitely a real precursor or foreshadowing (to stay in the movie mode) of what was to come between the pages of the book. I got a real, physical, paperback version of this book! That deserved the exclamation point because, I am just not an e-reader kind of gal. I keep trying and trying, but it just isn't me. So, happy I got a "real" copy of the book. So, why did this book make me ? I don't meet a lot of people in my real life that I can truly relate to, or that I know can truly relate to me and my daily struggles and triumphs. I haven't met Heidi St. John, in person, but, I can tell you that she "gets" me....which is why, she basically had me at "hello", or the Introduction with her "one fancy eye" story." Which seemed like a glimpse into my bathroom when I was trying to get ready to go somewhere - the interruptions - the questions - the kid doing school in there with me - the baby finding gross stuff on the floor - the yelling from the other room. The details weren't an exact match, but close enough so I knew she exactly how I have felt in those situations. I will just share a few of the encouraging....wise......helpful tidbits that I took away from this book. "Managing your day, is really just about managing yourself." Let that one sink in for a minute, because it is quite profound, if you let it be. It isn't about creating the perfect list or routine. Obviously, those things help, but not if your priorities aren't in order. Ms. St. John tells me that the first thing I need to do is make my marriage the priority relationship at home. Let that one sink in for a minute too. Again, it is one of those things that we "know", but rarely do we really follow through with it....because we are busy....the kids are loud and more vocal with their needs (hopefully) than our husbands. Most of the time, it is easier to fall into the mom first, wife second order. Rainman is actually much better than I am at forcing us to take a minute and stop and pay attention to each other. I am just so busy, that I tend to brush that stuff aside. I loved when she talked about "That Girl" that our husbands fell in love with still being there inside of us....somwhere.... and still needing to be part of my life and marriage. 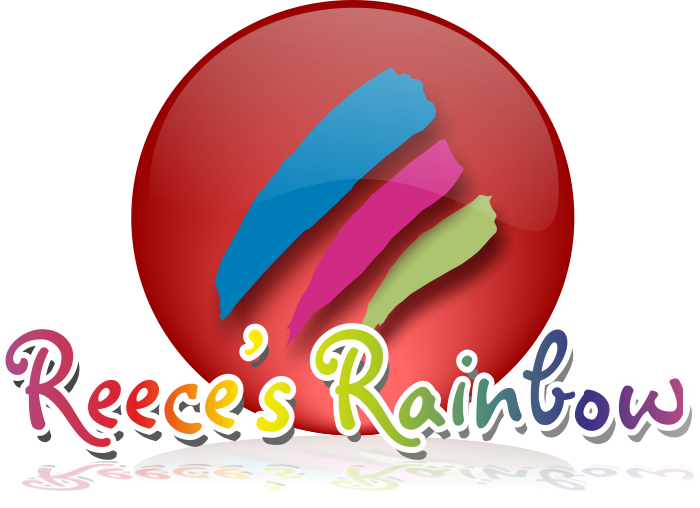 Moving onto priorities related to kids. Another one of her statements really hit home for me. She talked about her schedules and plans and how a comment from one of her kids that "she wasn't fun to be around anymore" made her stop and realize that she couldn't remember the last time she did something with the kids that wasn't housework related. Another point in the book that I both loved and realized is the 100% truth was that every busy homeschool mom needs a break. But, like Heidi's friend Carol told her......."Taking time for yourself is NOT optional". I think we need to remind ourselves of this and give ourselves permission to not be an option....if there is enough time....if it is convenient. You know? I understand this one in my head....but, I will need a little nudge to make it actually work in my life. And, not to feel selfish when I do actually take time for myself. Later in the book, she talked specifically about how she prioritizes her day. Not to say that we need to just do what she does and we will be fine, but to give us encouragement to simplify and make our own individualized plan. It is always helpful and good to have examples of what has worked or not worked for other people....even if it is just a jumping off point for your own plan. I mean, I wish I could say I spent time in God's word everyday, but the reality is that sometimes, the only bit of God's word I see is if someone puts a scriptural quote or picture on FB. I wish I could say that Rainman and I spend time alone everyday....but, honestly, I haven't ever even thought of trying to make that a reality. It is a completely foreign concept to me. I could let that depress me and take me down into the "I am a horrible wife" rabbit hole, but I am not going to do that. I am just going to use her idea as just that an idea. Will Rainman and I magically start spending lots of alone time together every day? No. But, I bet we will spend more time together than we did before I started thinking about it. About half way through the book, she has a section simply titled "Nothing good is ever easy." Again, for me, this was one of those simple, yet truly profound statements. It is true, isn't it? Motherhood? Good...defnitely not easy. Marriage? Good....definitely not easy. School? Good...necessary....not easy. Homeschooling? Awesome.....but, most definitely NOT easy. I loved Chapter 4- Hungry Daylight - Feeding Your Family Without Losing Your Mind. I won't say it was my favorite chapter, because I gleaned a lot of good things from the whole book, but this chapter made me realize that I wasn't alone in my food struggles and that I wasn't a total loser (horrible mother) for forgetting to thaw the chicken! I really, really loved this book. 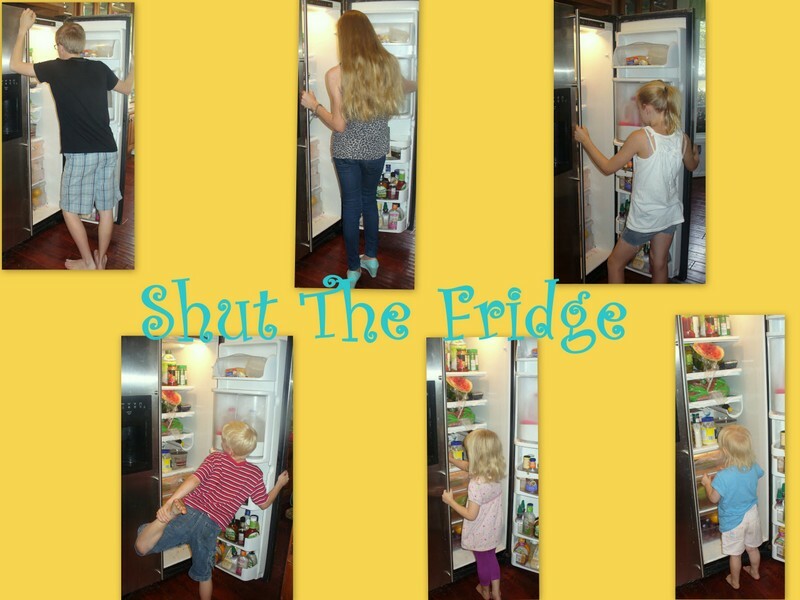 It was written in such a real, relatable way, that even if you are a homeschool mom that doesn't also happen to have a ton of kids like Heidi and I....you will find lots of good ideas and encouragement for using your daylight in the best way possible. I will also say that even though the word "homeschool" is in the title, I think any busy mom could get some good stuff out of this book. I just found it incredibly relatable and helpful because I happen to also homeschool. Make sense? 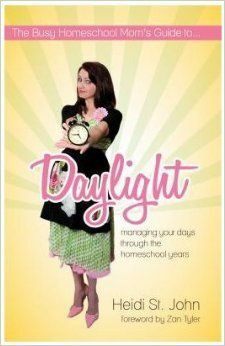 You can get a copy of The Busy Homeschool Mom's Guide to Daylight....for $10. 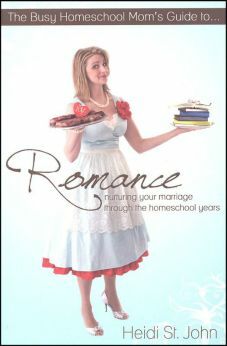 Rainman will be happy to know that I am already planning to pop over and get a copy of the The Busy Homeschool Mom's Guide to.....Romance. Take a look at what other TOS Reviewers thought of Real Life Press and all their offerings.